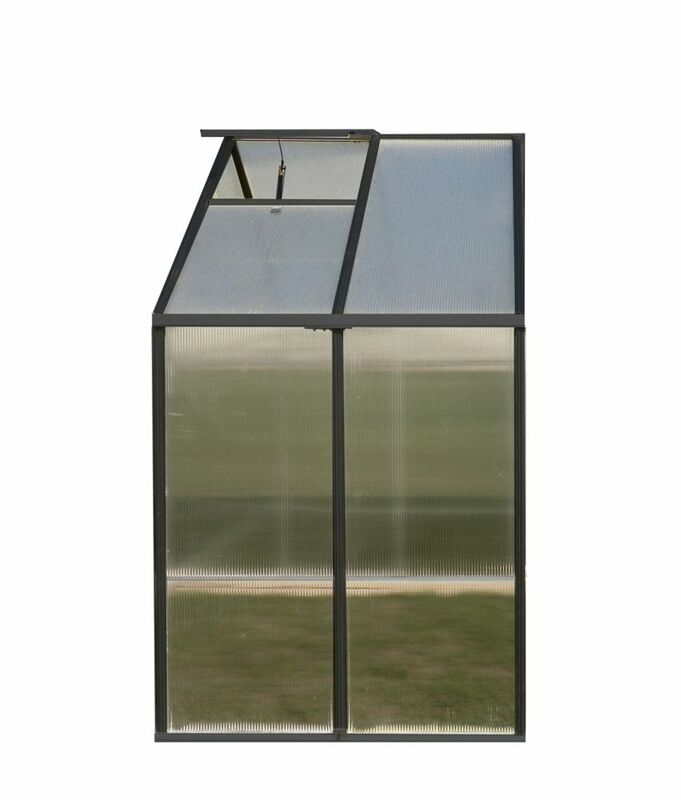 Palram Mythos Series greenhouses - Big enough for your dreams, small enough for your budget. Fill your spring and summer gardens with hundreds of mature colourful annuals that you've grown from seeds in your private greenhouse. You can grow everything from vegetables to delicate and exotic plants and winter delicate plants from your garden. Over the winter, you can store plants, tools and other items in the greenhouse open space. The Palram Mythos Series is a true hobbyist greenhouse with everything included. 8 ft. X 4 ft. Greenhouse Extension - Black (Premium) The Monticello 4 foot extension Premium kit is specifically designed for the Monticello line of greenhouses. The idea is simple, as your gardening greenhouse needs grow so can you greenhouse. The 4 ft extension kit allows for the expansion of your greenhouse. The design and installation is simple. Each 4ft extension kit comes includes a 2ft x 2ft roof vent with automatic opener and gutters. When ordering your extension kit make sure that the colour matches your existing greenhouse. This one is designed specifically for Black frames and will work with the following greenhouses: MONT-8-BK-Premium, MONT-12-BK-Premium, MONT-16-BK-Premium, MONT-20-BK-Premium, MONT-24-BK-Premium.